Village signs is a series of caches based on the ornate signs that depict the heritage, history and culture of the villages that put them up, often on the village green, if they have one. The signs can be made of different materials from fibreglass to wood, forged steel to stone. They can depict anything from local industry to historical events. The tradition probably started in Norfolk or Suffolk and has now spread across most of the country. The village sign at the cache site is a simple inscription cut into a slab of millstone grit and sitting on a raised plinth. The Pennine Chain is formed of millstone grit, and as Bolsterstone is a Pennine village, this was an appropriate stone to use. 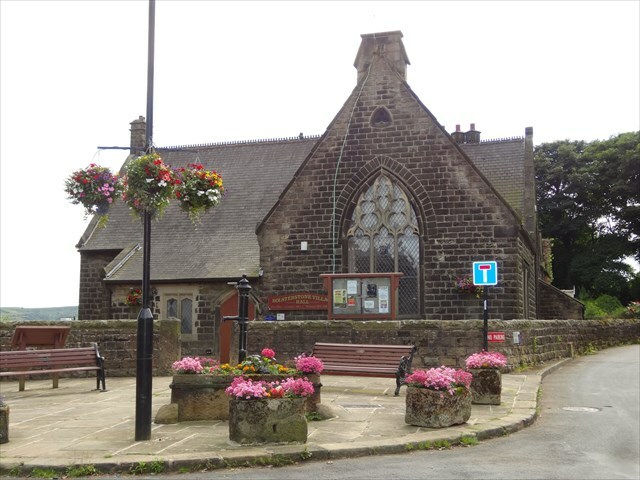 The village of Bolsterstone lies nearly 1000 feet above sea level on the hillside above Stocksbridge to the north-west of Sheffield, between the valleys of Ewden and the River Don. 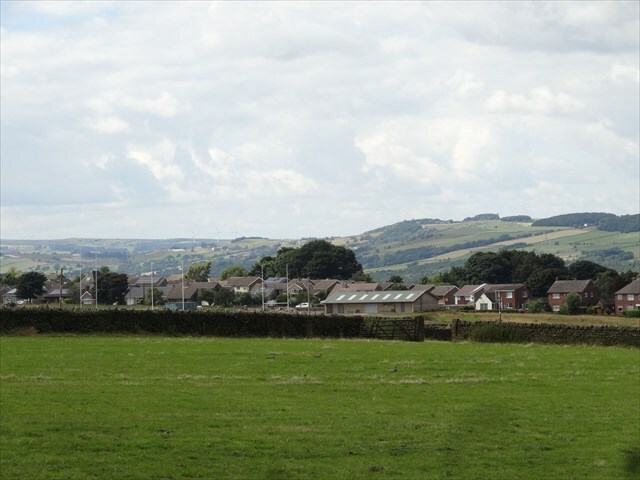 Although as a settlement it is much older than either of neighbouring Stocksbridge or Deepcar, it now comes under the administrative authority of Stocksbridge Town Council. It is believed that the village originated as an Anglo Saxon settlement. 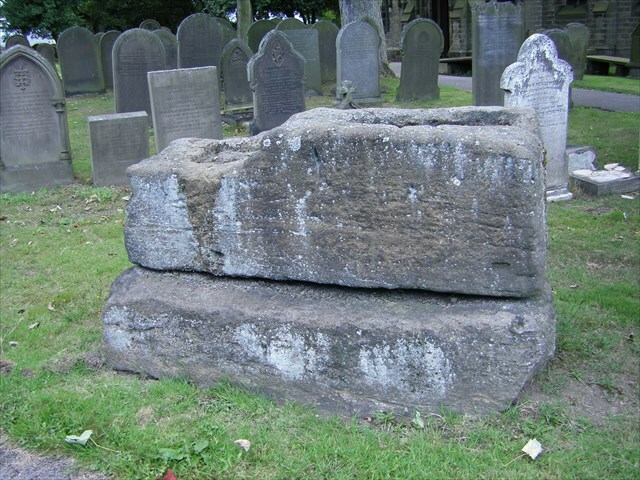 No-one is quite sure how the village got its name, but it could be derived from the two large stones now situated in the Churchyard and generally known as the "bolster stones". The Manor of Bolsterstone used to belong to the Earls of Shrewsbury. The villagers have always believed there used to be a castle in Bolsterstone, however, an exploratory “dig” in 2005 was inconclusive, although it did reveal buildings from the 16th century. Until there is positive proof of a castle in Bolsterstone, the village pub, “The Castle”, perpetuates this local folklore. 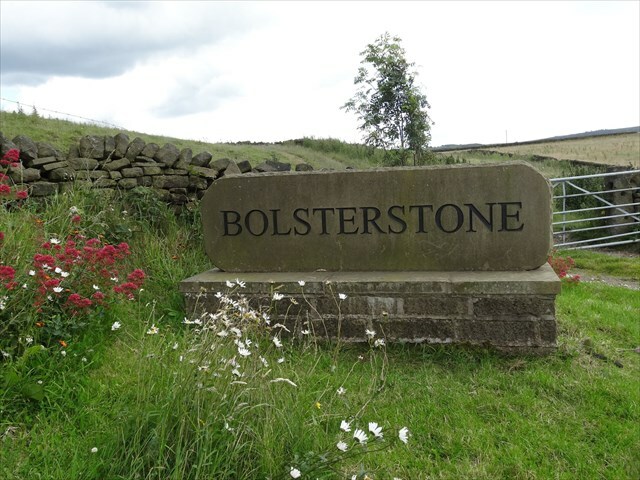 The old adage "all roads lead to Rome" could be applied to Bolsterstone as it lies at the meeting of four roads (each has its own village sign) and is on an ancient salt route between Cheshire and Yorkshire, which would indicate this used to be an important area. Indeed there is evidence that the Earls of Shrewsbury used to hold Manor Courts in the village. The village stocks and whipping post are located next to the Lych Gate of St Mary's Church on Hands Lane. The oldest building in Bolsterstone is Castle Cottage on Folderings Lane. St Mary's Church Bolsterstone was completed in 1879 and stands on the site of at least two earlier buildings. Early records show there was a small ancient chapel of ease, which was demolished in 1791 when it fell into disrepair. 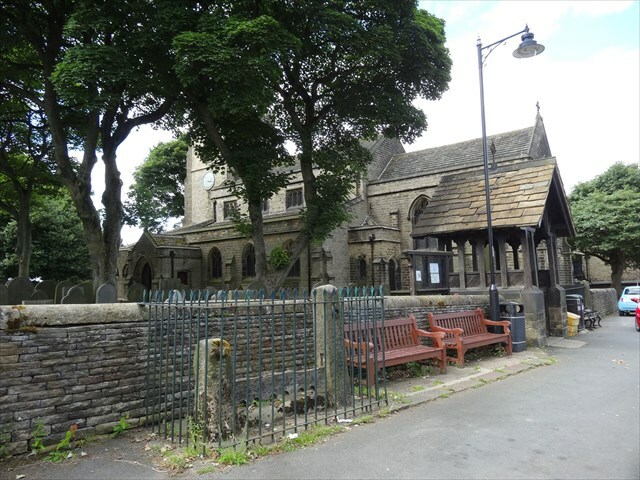 A new church was completed in 1795, which was subsequently replaced in 1879 by the present church. The church has a peel of eight bells and an active team of bell-ringers. It was members of the church choir who formed Bolsterstone Male Voice Choir in 1934. The choir is still going strong with over 70 members and plays an active role in the life of the village. Bolsterstone Free School was built in 1686 on Sunny Bank Road. In 1852, Bolsterstone National School (or Bolsterstone Church School) was built to replace the Free School, however, pupils had to pay to attend so it was not as popular as the Free School. The two were amalgamated in 1886. The Church School building was used for the older pupils and the old Free School for the infants. The school closed in 1993 and the Church School building became the Village Hall and the old Free School became a private house. Congratulations to Flynnandmum for first to find.